This is the wanderprobe edition of "To the Barricades", or as some like to call it, vanderprobe. Related to "sitzprobe", which is a term used in opera and musical theatre to describe a seated rehearsal—the literal translation of Sitzprobe—where the singers sing with the orchestra, focusing attention on integrating the two groups, our wanderprobe had us moving through most of Les Mis, singing with the orchestra, without using any set pieces or props. The wanderprobe achieved a number of different things. Most importantly, it gave music director Susan Lexa an opportunity to integrate her live players with the acting ensemble. It allowed the ensemble to hear the live musicians for the first time and how they will add richness to the tracks. It also provided an opportunity for all of us to hear the show with the principles in microphones, their voices fully amplified, and in some cases, processed. Even at this early stage, the results were stunning. I sat in the house to listen to a number of different scenes and was taken aback by the clarity of the voices and early stage work that audio technician Scott Weber has done to mix the show. Whether it's the sensational soprano sound of Kimerica Parr, playing Cosette; the brilliant baritone of Greg Lupul, playing Enjolras; or the soothing bass offered up by veteran performer Chuck Smith in the role of the Bishop, the combination of first-class audio technology and two month of hard work on the music has the show sounding amazing. Our three leads, Jenny Price (Fantine), Tim Heggie (Valjean) and Sheldon Dahl (Javert), sounded particularly good. Misty Oakes (Eponine) brought tears to my eyes as she belted our her heart-wrenching solo. "I haven't done a show here where the sound was this good, this early," said director Claude Giroux, winding down after a long evening of rehearsal. It was fun being down in the pit to see and hear the musicians up close. Dianne Pare is surrounded by percussion instruments including timpani, tubular bells and assorting other doodads that I recognize but couldn't name to save my life. I could swear I even saw her sling a flute at one point in the show. We also have two talented brass players adding tonal layers to the music. I know that one of the ladies is Heather, but I haven't learned the name of the other trumpet player yet. They both sounded great, and even have their own collection of various types of horns, including a 4-valve piccolo trumpet and what looked to be a flugelhorn, though I might be corrected. From a performer's perspective, there is nothing more powerful than joining the cast of 49 for the finale of Act One and the Epilogue at the end of the show. "Rousing," is how Claude described both numbers from the vantage point of the audience. The effect of the music and that many voices coming together with full intention and volume, is intoxicating. The nights are getting later. We left the college shortly after 11 pm, and didn't go to bed until about midnight. 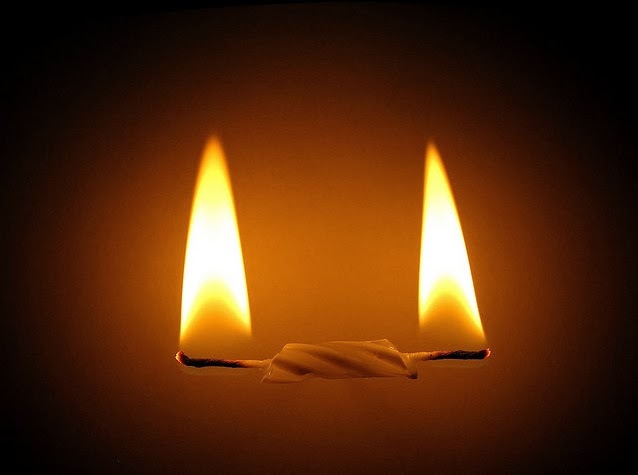 Fatigue management is going to be a critical activity in the next couple of weeks as all of us burn both ends of the candle. One of the challenges with this large of a show, much like what we experienced with Hometown...The Musical! in 2013, is getting out the door when the rehearsal or performance is over. We got our first sense of that last night as a long line of performers had to wait for the microphone technicians to carefully remove our stage mics and wireless sets - the little radio transmitters that will be hidden somewhere underneath several layers of clothing tucked away in special belt packs. For the purposes of last night's wanderprobe, the belt pack was wrapped around the outside of whatever we were wearing. "That was holding me in rather nicely," said Chris Bowers, reflecting on the girdle effect of the belt packs, an effect that I'm all too familiar with and appreciative of. Theatre is a team sport. That fact becomes so evident as we hit the final stretch, and more and more individuals join the fun. Over the next few days we will meet many new faces, people who will be helping with quick costume changes, running follow spot lights, working in the fly gallery, and many other functions that need to be taken care of as we hit our first audience one week from tomorrow. Preview is coming quickly, with Opening waiting in the on-deck circle. Then the running begins. It's going to be an amazing thing to experience.